✓Easy to use: Contains soft magnetic, Size(LWH): 2 x 2 x 0.79 inches/ 5.2 x 5.2 x 2 cm, Suitable for home and office where planning and decision making takes place. Keep them near boardrooms for meetings or presentations. 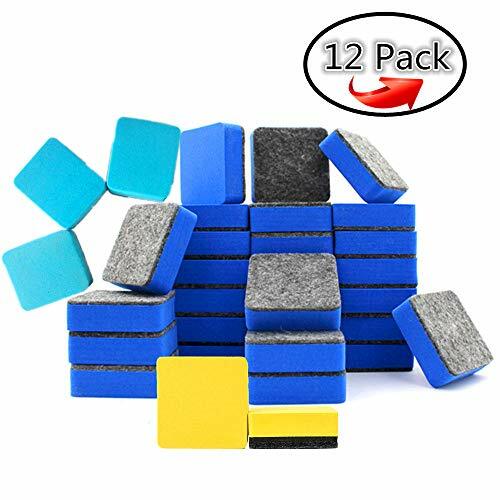 ✓ HIGH-QUALITY: These erasers are made of premium synthetic eco-friendly, non-toxic felt. Durable and long-lasting, They\'re able to erase markers on any type of whiteboard without leaving traces or dry-erase residue behind.